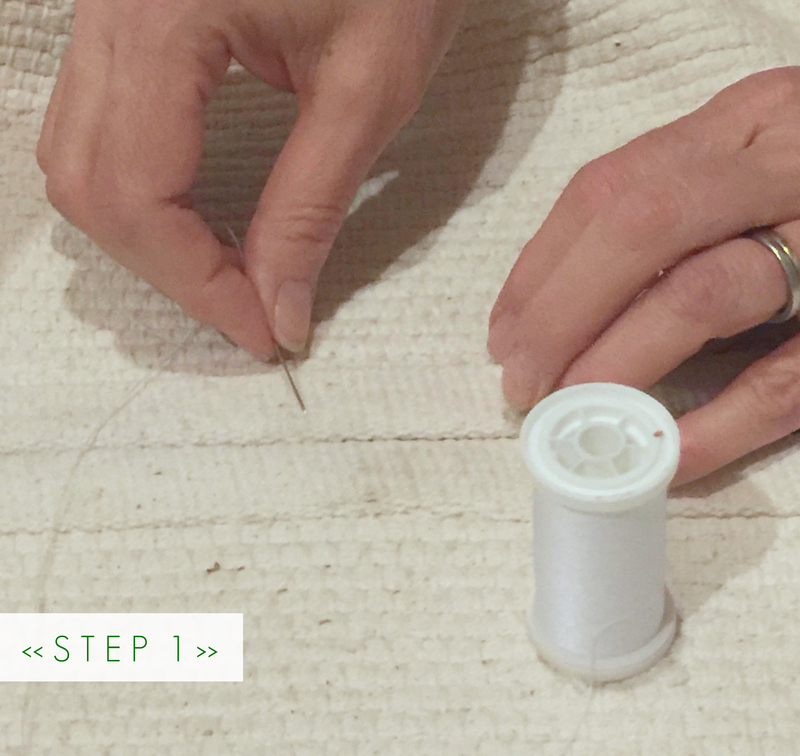 Step 1: Using upholstery thread hand stitch each rug together. For ours we stitched along the 8’ sides to connect the rugs together. This gave us a rug that measured 8’ wide by 18’ long. An alternative way of attaching your rugs is using carpet tape on the underside of the carpet along the edges you want to attach. (*Note you can stitch or carpet tape virtually any rug together). Step 2: For the pattern we knew we wanted something geometrical and bold. We created a stencil out of poster board. 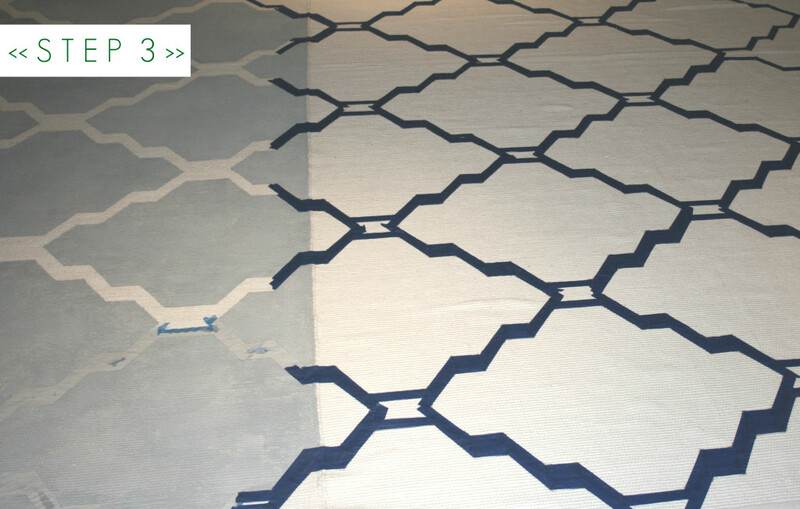 When determining the size of the stencil we kept in mind the overall size of the carpet, the size of the geometric shape we were creating, and the space between the shapes so that the completed pattern would be symmetrical on all sides of the rug. Another option if you do not want to make your own stencil is to buy an already made stencil. 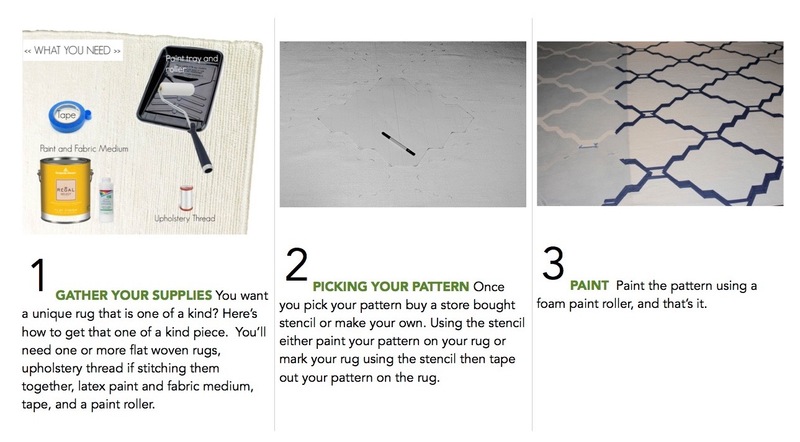 We used our stencil to mark our pattern on the rug. 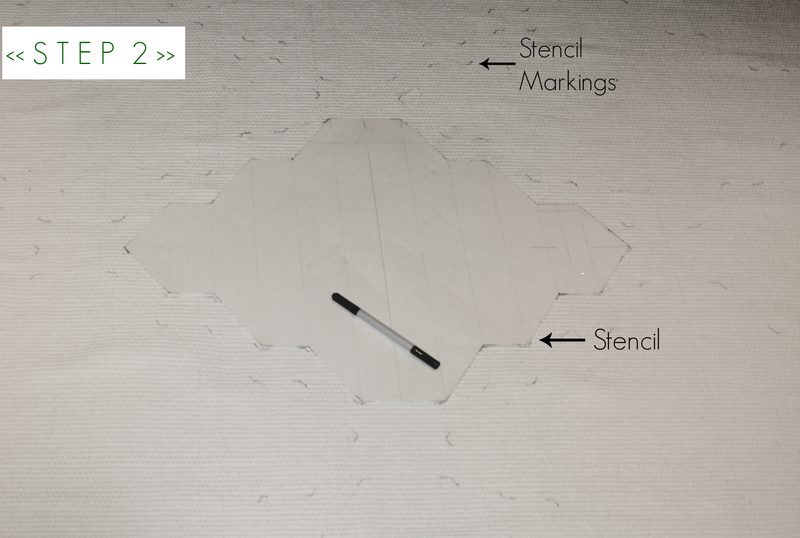 As we moved our stencil throughout the rug we used a spacer made from the same poster board so that we could ensure our pattern was laid out uniformly. This also made the process of laying out the overall pattern go quicker. After the pattern was complete and the rug was marked we used blue painter’s tape connecting our stencil markings to tape out the pattern. The areas under the painter’s tape will remain white and will not be painted. Step 3: Now it’s time to paint. This part moves very quickly. You can either use a fabric paint or you can create your own fabric paint. We decided to create our own using the same flat latex paint that was used on the walls that we had tinted 25% darker to provide a contrast. We then added fabric medium to the paint turning this standard latex paint into fabric paint (fabric medium can be purchased online or at most local craft stores). 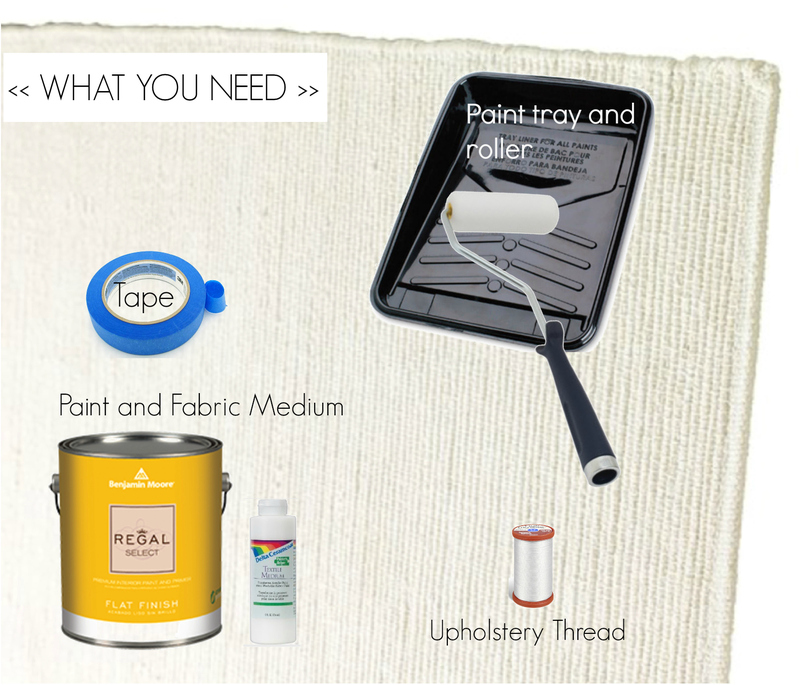 Once the fabric medium and latex paint are combined you roll the paint on the rug using a foam roller. 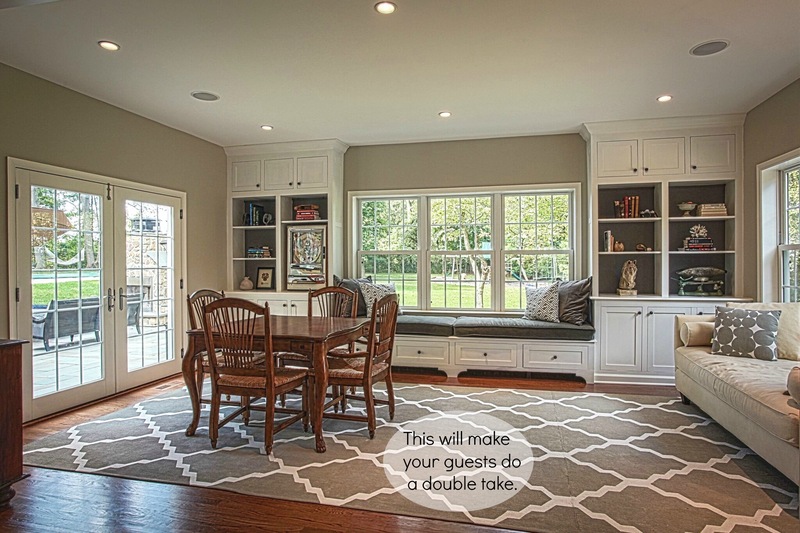 As a precaution we suggest laying a drop cloth under the rug to catch any paint that might bleed through. That’s it! 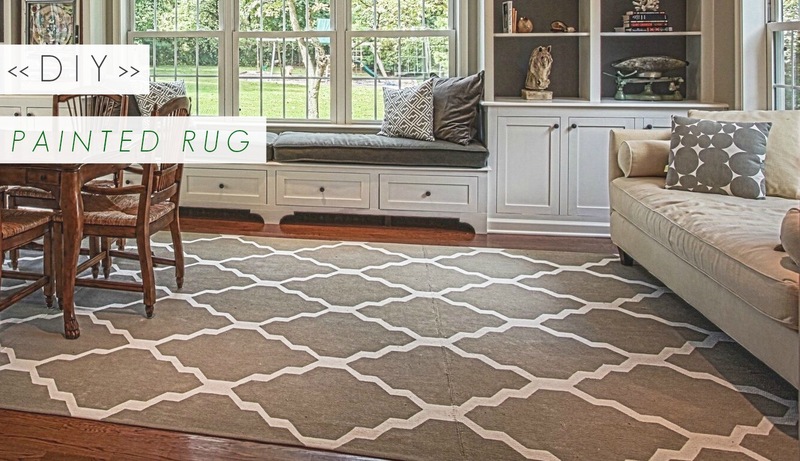 Now you have a customized rug that looks fabulous, matches your decor, and is inexpensive! Have fun with colors and patterns. There is no limit to what you can create! Thanks to Libby and her clear cut directions, I have been empowered to install a runner and secure a self made and stained live edge floating console to a wall in our entryway. Libby is my design guru and she makes what seems impossible, possible to DIY!